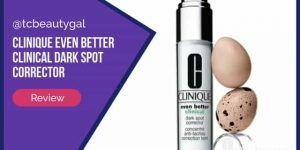 Trying to find a solution that will help reduce the appearance of unsightly dark spots? Well, Obagi has a product designed for that exact purpose. Blender, which is step #5 in the Obagi Nu-Derm system, is a hydroquinone-based cream that targets problems pertaining to skin discoloration. The formula consists of a 4% hydroquinone concentration. For those of you that are unfamiliar with this substance, it is a very common agent found in most high-quality skin lighteners. 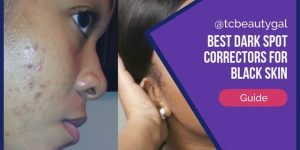 This ingredient has been proven time and time again to be one of the most effective tools in correcting uneven skin tones. It’s important to note, though, that some people find hydroquinone creams to be a bit too harsh on the skin. Obagi Blender does seem to have a much more tolerable balance of potency and comfort, though. Many people have noted that unlike other products made with the ingredient, Blender is able to be used on even sensitive skin. Obagi Nu-Derm Blend Fx, 2 oz. Nu-Derm Blender is made to reduce the production of melanin to stop dark pigments from showing up on the skin. It also assists with general aging by rebuilding the elasticity of the skin and even helping to increase the body’s natural collagen production, an essential element in developing clear, beautiful, ageless skin. Obagi recommends using this product in conjunction with a tretinoin cream. Doing so will help get rid of damaged skin cells and encourage faster production of healthier ones. Blender is recommended for individuals 20 and older for the purpose of correcting uneven skin tone. Works for people with dry, oily, combination, or normal skin types. Men and women of varying ages have tried Blender and been generous enough to provide their opinions of the product for others to digest. Many women claimed that Nu-Derm Blender worked incredibly well for getting rid of dark spots over the course of just a couple months (6 to 8 weeks). Some people did note that it can dry out the skin and may need to be used once every 2 days rather than daily for those with dry skin types. Others also noted that it left their skin feeling very soft. 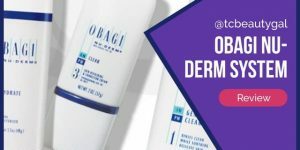 The Nu-Derm Blend is the over the counter version of Obagi’s prescription skin lightning product. The RX version contains 4% hydroquinone. Hydroquinone is an aggressive treatment for sun damaged, pigmented skin but it may also damage skin tissue and is banned in some countries. So using the less aggressive FX product will take longer but may be best in the long run. The FX product contains arbutin, exfoliants and antioxidants to help smooth the skin and reduce the appearance of dark spots, age spots, freckles and other hyper-pigmenation. Combined with a retinol product such as an over the counter 1% retinol or prescription strength it can be even more effective at renovating the skin. I found the product to go on smoothly. It does have a chemical smell to it that is not the greatest. 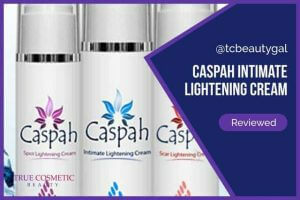 It will take time to see how effective it is at brightening my skin. But I like the rest of the products in the line and feel this is likely to be another winner. I plan to combine it with an OTC 1% retinol product. Overall, most people were very satisfied with the results they experienced while using this product. 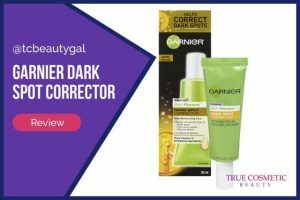 It might be a little more pricey than similar products under other brands but it’s worth every penny because it is truly high-quality and it works exceptionally well. We absolutely love Obagi Blender. While we do highly recommend using it as part of the entire Obagi Nu-Derm system, it is still an effective, well-made product on its own. If you’re looking for something to just treat dark spots or even just brighten up your skin a bit, Blender is the perfect product to have. Our only complaint is that it does have the potential of leaving your skin rather dry. 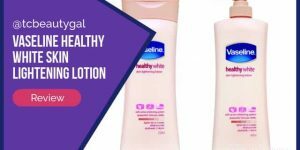 Individuals with oily or combination skin probably won’t experience this but if your skin is even remotely dry to begin with you’ll definitely want to consider using this product once every other day rather than every single night. It still works wonders, though. It’s always important to know exactly what’s in the products you’re buying. You’re putting on your skin which is an invaluable asset to your appearance. It’s imperative that you take care of your skin! Inactive ingredients include: purified water, glycerin, cetyl alcohol, PPG-2 Myristyl Ether propionate, sodium lauryl sulfate, tea-salicylate, lactic acid, phenyl trimethicone, tocopheryl acetate, sodium metabisulfite, ascorbic acid, methylparaben, saponins, disodium EDTA, BHT, propylparaben. Blender is designed to be used as a nighttime treatment for skin discolorations. Simply apply a small amount of the cream to the desired area once before going to bed. For best results it’s recommended to use it in combination with either a tretinoin or retin-A product. 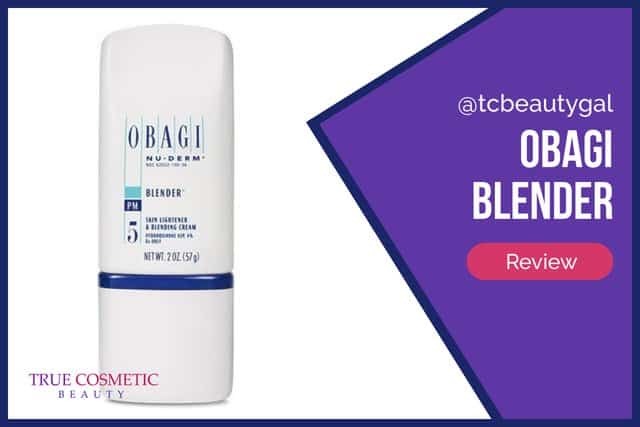 Obagi products, including Blender #5, can be found at a number of retailers, both online and offline. Dermatologist offices, as well as medical spas, also tend to sell Obagi but tend to be overpriced due to markups for profits. Sites like Amazon have competitive prices, ship out orders quickly, and have awesome customer service.